Part of being an adult is not having anyone tell you what to do, including telling your what you should accomplish. As a college student, you have to make decisions for your life on your own. You have the freedom to set your own standards, goals, and expectations. Setting goals helps you to keep progressing through life. If you pay attention to the people around you, you'll notice there are many who are doing, wearing, driving, and living the same way they lived a decade ago. If your are not careful you can fall into the trap of stagnation--just staying the same. Success comes through change, progression and evolution. Learning how to get the most out of your life by setting goals for yourself is an important skill to possess. S - Specific, M - Measurable, A - Attainable, R -Relevant and T - Timely. Non-SMART goal: I want to get a good job. SMART goal: I want an entry job with the federal government with a salary of $50,000 or more within two years of college graduation. The key to help you achieve your goals is break them down into manageable tasks and actions. You should also write your goals and strategies down to help hold yourself accountable and keep track of your progress. We have created worksheets to aid you in your goal setting. 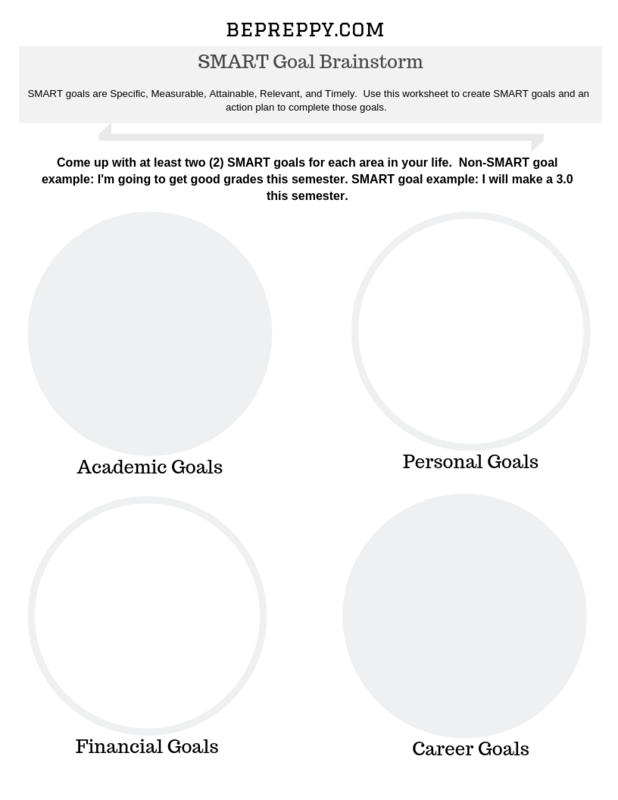 Use this sheet to help you create personal and academic goals. 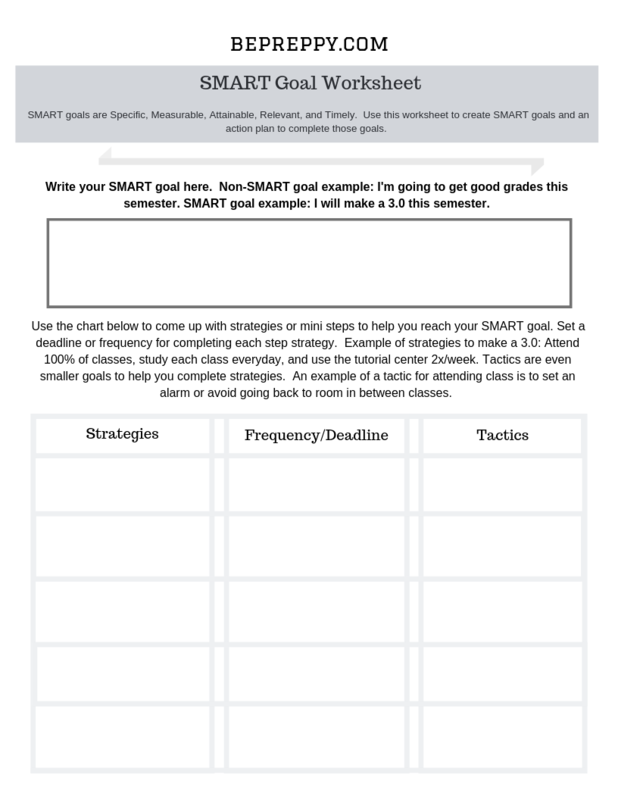 Use this worksheet to create an action plan for each goal.